1934 Auburn Viper Cabriolet at Hemmings in Bennington, Vt. I think the 10 cyl engine is a transplant. 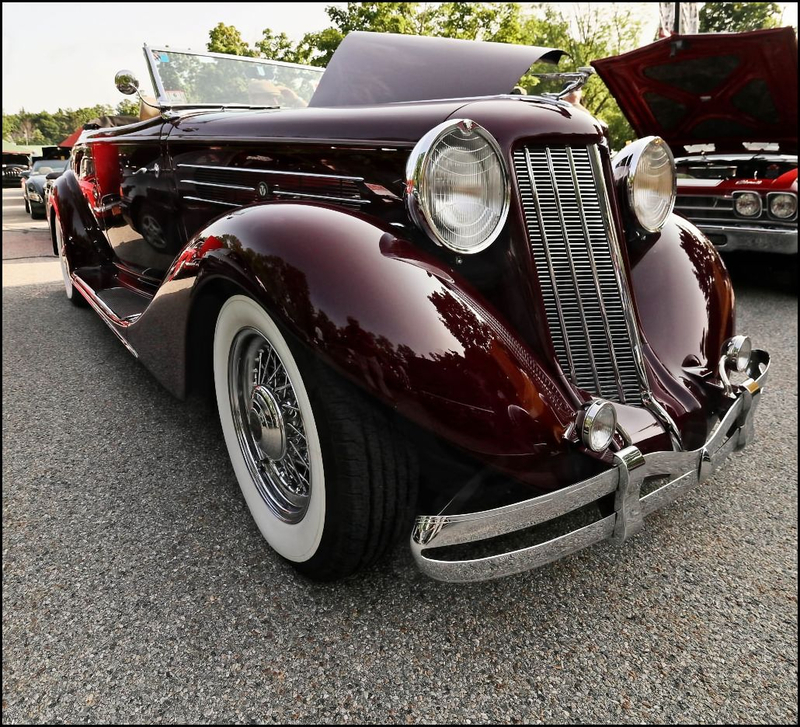 I've always thought the Auburns of that era are some of the most beautiful cars ever made. They were also leaders in several mechanical developments and applications. 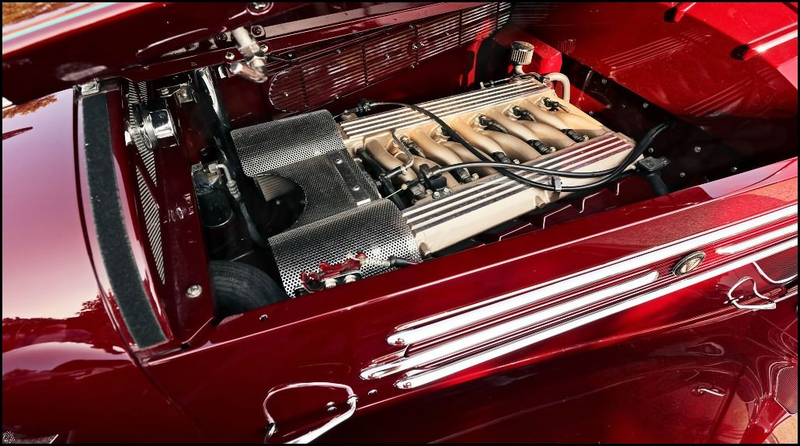 The 10 cylinder motor is certainly a transplant. 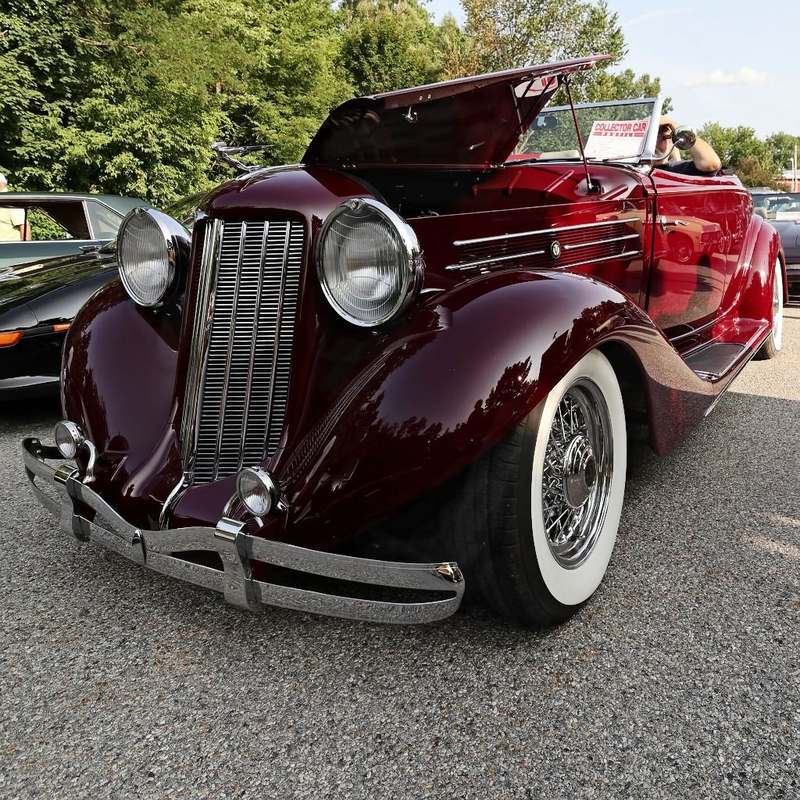 Certain models, however, in the 1932 - 1934 years could be had with 12 cylinders. The enormous headlight housings are sure eye-catching. I credit the headlight housings with the lack of sealed beam lamps. Wow. I didn't see one like this when I was at the Auburn museum earlier this year. This is a beauty. Glad you like these. Cars are fun to shoot when they're this nice. I have consulted the engine experts and it looks like a Chrysler V10, perhaps from the Viper.